EURUSD is under the influence of U.S. consumer price index. The support rests at 1.11420 with resistance at 1.11690 which both lines are below the weekly pivot point at 1.11920. The EMA of 10 is moving with bearish bias and it has crossed the EMA of 100. The RSI is moving in oversold area, the Stochastic is showing upward momentum and the MACD indicator is in negative territory heading down. 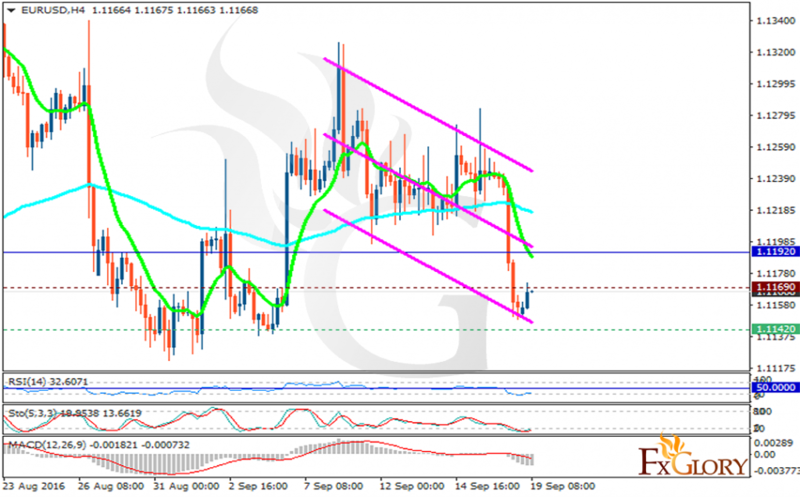 Sellers can open their positions and target 1.1130 area.